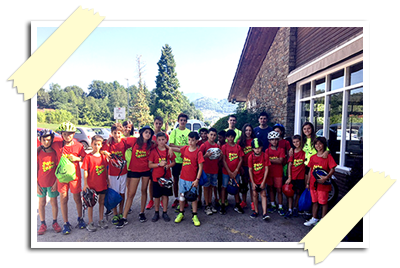 Adventures, sports and lots of fun were the experiences lived by the children who participated in the Pol Manrubia Campus, a sporting week in which Peta Zetas® popping candy collaborated with great enthusiasm. The main theme of this campus was Roller Hockey, with lectures by OK Lliga coaches and young promising athletes, training matches and panel discussion about the European Roller Hockey Championship matches. In addition to the activities related to this sport, they also organized football games and outdoor games such as hide-and-seek, bicycle trips and swimming pool games. All this accompanied by Peta Zetas®, to add more fun! In short, the participants spent 7 days of laughter, companionship and new experiences, which they will surely want to repeat next summer.